Soup season has ARRIVED. We are here and we ready. for. it. 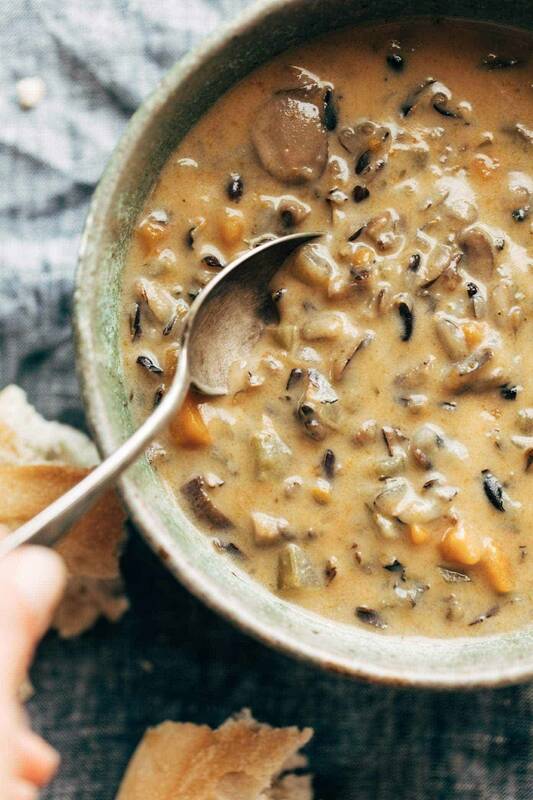 There’s nothing quite like a big ol’ bowl of soup on a chilly fall day. And that moment you dunk a piece of hot crusty bread into that creamy bowl of comfort? PURE MAGIC. Now that we’ve established soup season is the best season, have you met soup’s best friend, the Instant Pot? 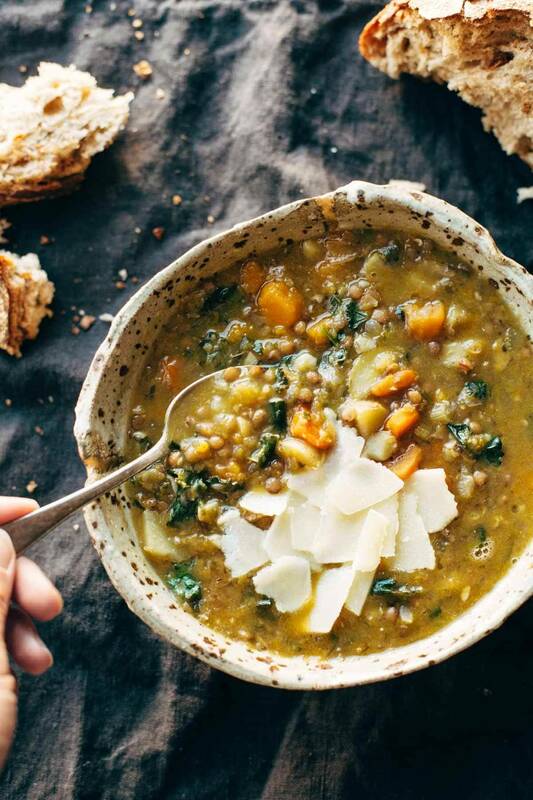 The only thing better than a homemade pot of soup on a cold day is a homemade pot of soup that’s hands-off and done in just a few minutes flat. YES. We are all about that. Need a little push to get started? 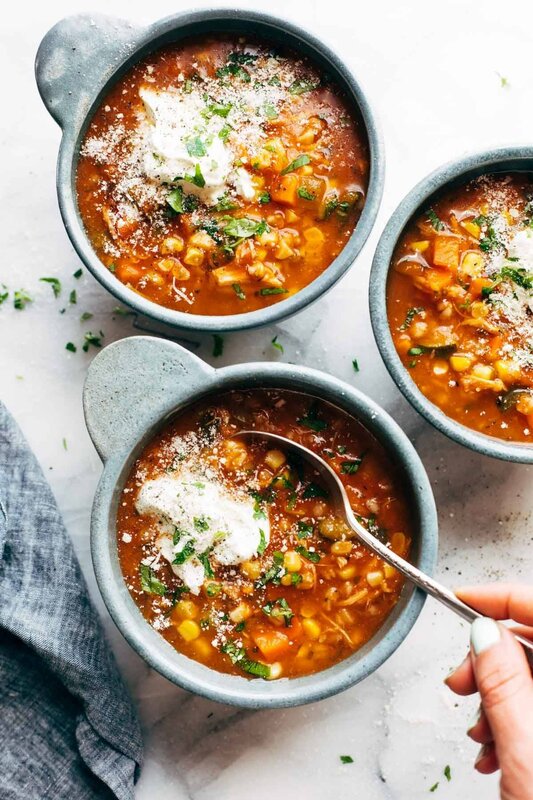 Here are a few of our favorite tried and true Instant Pot soup recipes (that are conveniently packed with all the veggies). Note: links above are affiliate links! 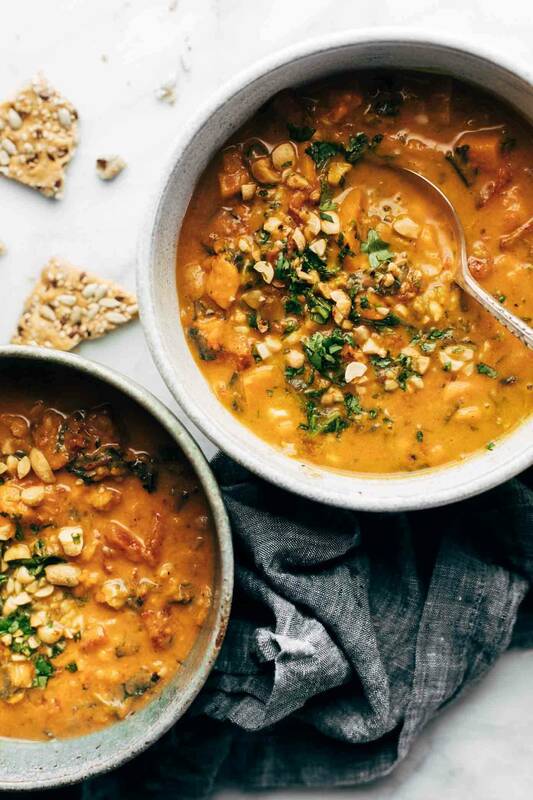 Super creamy, perfectly spicy, and full of all the good stuff like sweet potatoes, kale, and coconut milk. This is PEAK comfort right here. And with a generous dunk of No Knead Bread? Totally necessary. Call us crazy, but pumpkin and walnuts are definitely the makings of a seriously good chili. All the veggies, a can of beans, a jar of marinara sauce, some simple spices, and you’re in some seriously easy dinner business. 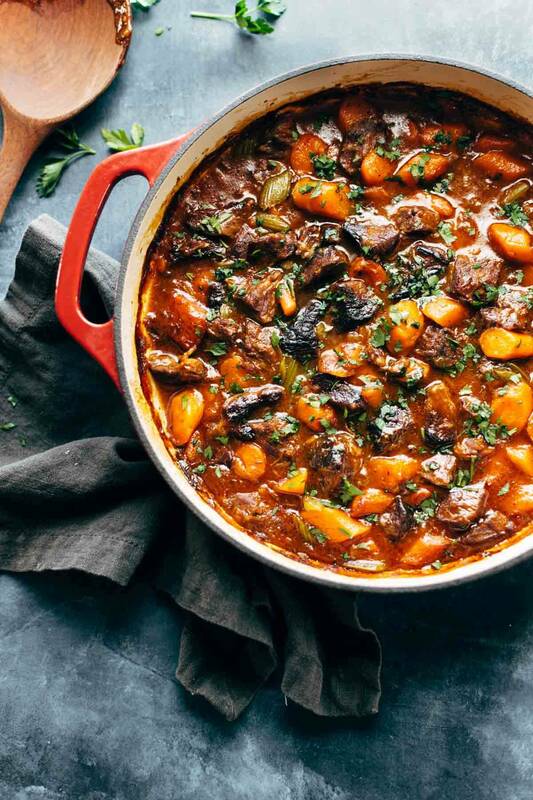 Just six ingredients and 45 mins stand between you and our hands-down favorite beef stew. Summer soup!? Pshhhh. Trust us, this one’s worth it. Loaded to the MAX with veggies and whole grains and protein, and also big, yummy, Italian-style flavor. As classic as you can get. Delicious and hearty and perfect for when you’re a little under the weather. Is it really fall if you haven’t had butternut squash soup? Just chop up some onions and garlic and then just dump-and-stir the rest. Easy peasy. Soups and Instant Pots and easy cozy weeknight dinners forever and ever and ever. ❤️ Enjoy! I love soup – and now I really need an instant pot! I’d love it if you shared it at our What’s for Dinner party! WOW!! So many inspiring Instant Pot recipes. I just bought one last month and I’m in LOVE with it. 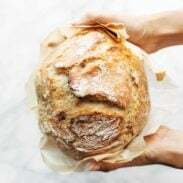 I’ve been making sourdough bread a lot to go along with the soups I’ve tried. Now this gives me even more options! Thanks for posting these recipes. They all look so tasty, soups definitely do good on cold days bit I did have soup on a hot summer afternoon and was delicious but so hot lol. Thanks for these recipes for soup all through the year. I’ve already made the chicken/wild rice and beef stew recipes and they’re great. Jenna–you’re doing a great job while Lindsay & Bjork care for their sweet new baby. Congratulations! that summer soup was so good, i’m going to have to check the rest of these out! Hope you enjoy them, Melanie! I want that spicy peanut soup so bad. It’s all I’m going to think about all day. Or the wild rice soup. Or really any of them – so many great recipes. Pinned! I just bought a 6 quart instant pot. Is that big enough to make these soups? I wasn’t sure to get the 6 or the 8 quart? All recipes are best fit at my restaurant menu. To my knowledge I didn’t remove you. I would like to rejoin. Thank you.